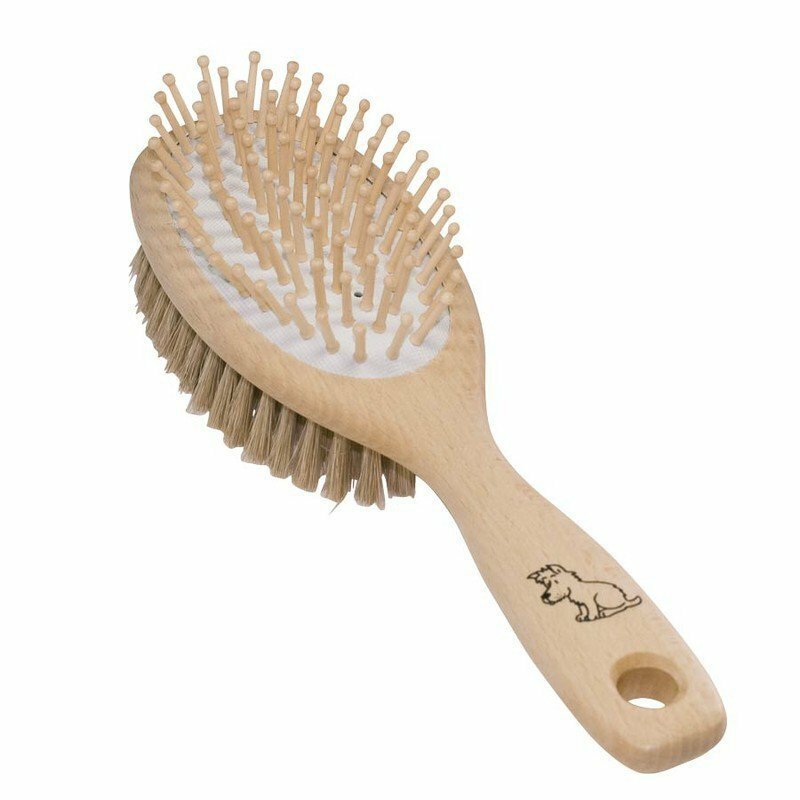 Why brush your dog's hair? The aim is to avoid long-haired dogs' coat getting tangled, by removing dead hair and getting rid of stains. If you avoid the formation of hair balls (knots, burrs or... canine dreadlocks), the dog's skin breathes better, thus stimulating surface blood circulation and avoiding the formation of eczema patches. Second beneficial effect: you are taking care of your dog, contributing to its relaxation with the massage effect, and consequently are reinforcing the relationship between you and you dog. The dog's coat is a reflection of its good health. Taking care of its coat contributes to its well-being. How to brush which dog?